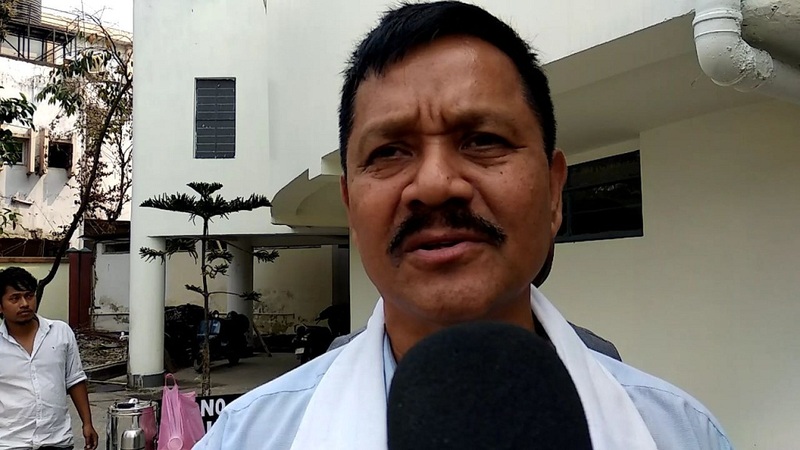 Pro-talk United Liberation Front of Assam (ULFA) general secretary and Convenor of Indigenous Forum, Asom, Anup Chetia on Monday demanded that Bharatiya Janata Party (BJP’s) Hojai MLA Shiladitya Dev be detained for “making provocative statements which led to the Kherbari massacre”. Addressing a Press conference in Guwahati on Monday, he also demanded that Dev be “grilled thoroughly”. Chetia also demanded that the former Congress MLA from Abhayapuri South Chandan Sarkar, former minister under Congress reign Ardhendu Dey and founder president of All Cachar Karimganj Hailakandi Students’ Association Pradip Dutta Roy be also arrested for their “provocative” statements. Chetia further said that these people were trying their best to “drive a wedge between the Assamese and Bengali communities. They should not be allowed to play divisive politics”. He also informed that the Khilanjia Mancha would submit a memorandum before the Assam Chief Minister Sarbananda Sonowal soon demanding scrapping of the Citizenship (Amendment) Bill, 2016. It may be mentioned that Chetia, during a meeting organised by the Krishak Mukti Sangram Samiti (KMSS) and other organisations on Sunday, said that ULFA doves was pressurised by the Centre to remain silent on the current situation in the State.